This is one of my favorite fruits, the rambutans. 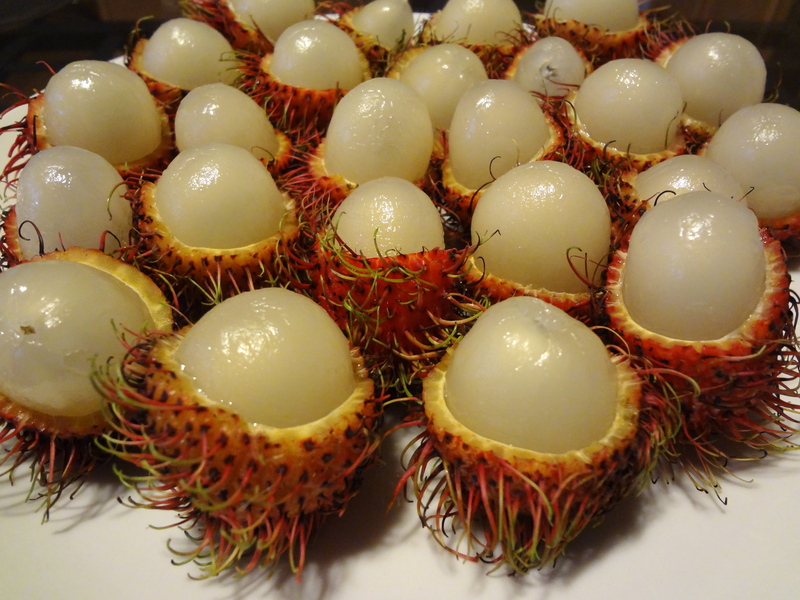 They are the tropical fruits that originate from Malaysia and Indonesia. Its Vietnamese name means “messy hair.” If you ever get a chance to travel to Southeast Asia around the summer, please look for these fruits. They are to die for!